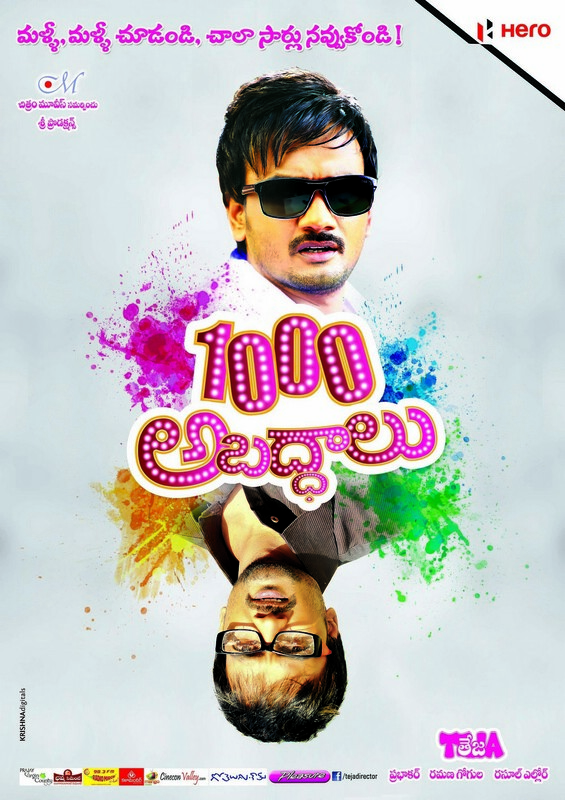 1000 Abaddalu is a routine stuff in making , Different flick in taking but fails to create success. Story : Satya ( Sai ram Shankar ) loves a girl ( Esther )and marry’s her by saying lot of lies. Then what happend after the marriage ? Performances : Sai came up with decent performance . Esther needs to go for acting classes. Naga Babu rocked with his comedy timing and his asset was out standing. He saved the movie. Story ,Direction & Screenplay : Teja leaved his regular mark and tried different taking but it turns t be a disaster. Illogical scenes , Unnecessary screenplay , avoidable songs placement and editor forgot to cut some dragging scenes , which makes very bad impression on the whole content. On whole Teja’s unique promotion may help create buzz but his directional skills shrinks the ship. Songs & BGM : Couple of songs were good , BGM was adequate. Cinematography : Ok , rich work in songs capture. Morning shows delayed in major areas. Buzz was very weak. Hard to sustain.